Words are powerful. When used correctly they can work wonders. They are like music, when played well, it can change the environment of everything around it, making it positive and delightful. However, if played badly it can make everything negative and unpleasant. So how is speech spoken? When you pluck a string on a sitar, how many different sounds does it produce? Many. In the same way, as soon as you have the desire to utter just one word, other words will formulate and be spoken automatically. At times, we even say things we did not intend to say. This is where the subtle science of speech exists. 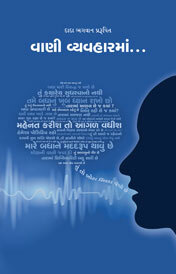 According to Param Pujya Dadashri, the nature of speech is inanimate; it is a record. When you play a tape, does the tape not have to be recorded first? In the same way, the tape of speech of your entire life has already been recorded in your past life. In this life, it is only playing. Just as a tape record starts playing when the needle is placed on the record, your recorded speech beings to play as soon as the appropriate circumstances arise. 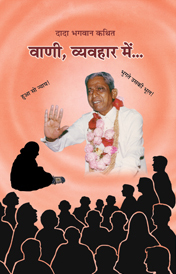 Param Pujya Dadashri has also revealed the true nature of speech, the relationship between inner intent and speech, how to stop lying, how to attain the power of speech and much more. Read on to learn the very intricate science of speech and the power of words. Pujya Niruma describes the qualities required for powerful and persuasive speech, explaining that the quality of ego behind one's speech is of utmost importance. When you tell someone he is wrong, it is the same as throwing dirt over your own Soul. Using disturbing language is the greatest transgression of all, but when a person dismisses such words, he is truly considered a human being. To protect what you say is the greatest violence (himsa).To insist that what you say is absolutely true is himsa. The highest truth is one where no living being is hurt through the medium of the mind, the speech or the actions. To give advice that is not requested, God calls egoism. An obstruction to Self-Realization is to see fault in others. The only language worth recording in the mind-body complex is the language of love. Parmaarth (Ultimate Goal) means anything that is done for the Soul. The person whose mind, speech and conduct do not harm or hurt anyone in the slightest is considered sheelvan (highest of morals; purity) and one cannot have speech that is effective and efficacious and speech that liberates, without becoming a sheelvan.